• Aerodynamically advanced clubhead design and lightweight shaft increases clubhead speed for greater ball speed and distance. 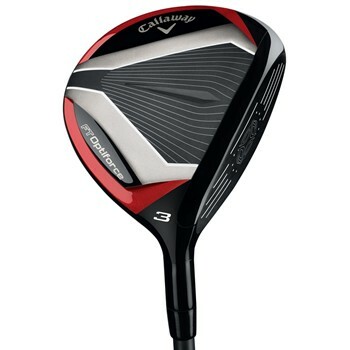 • Forged Face Cup and Speed Frame Face allows for increased ball speeds all across the face in a fairway wood. • Internal standing wave precisely positions the club’s center of gravity for high launch angles and optimizes the spin rates for maximum carry distance. • Modern Warbird Sole design has versatility from every lie with an updated design that builds off of one of the most versatile fairway woods ever produced.